This week we learn about 2 and 3-d shapes. This week we compare and contrast different animal groups and learn about their classification. Each night your child should be reading to you or you reading to them. These books need to be log on paper. After 10 books read, your child gets a piece of gum. I am hopeful more of my students will join our 100 Book Club. If you do not have access to books at home, please let them spend 10 minutes or so on RAZ KIDS. There are books there that your child can read. You can log them on paper, just like any other book. We have been working with technology in the classroom. Here are some ideas for your child to use at home to enhance learning. This will be a running list that I will add to as each new program or website is introduced. Each student in my class has a math account for Pearson Realize. You need to go the the Harvest Ridge website. Click on student, then pearson. Your student's username is their first initial, last name, and last three digits of their lunch number. Your child's password is Fh and their 6 digit lunch number. We have also learned how to use the brainstorming app called popplet. It is a free app. This is another learning tool you might like for your child to use at home. We have also begun using learning.com. You can access it in the Harvest Ridge website. You would go to student, then learning. com. Your student's username is their first initial, last name, and last three digits of their lunch number. Your child's password is Fh and their 6 digit lunch number. 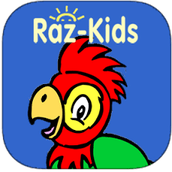 Each student has access to Raz Kids. The teacher name is sbaynec. The students password is his/her last name. This is a web based program. Scratch Jr. is another great coding app. I briefly showed the app, and then told the students that they could use it in class. I introduced Khan Academy. You can find it on the Harvest Ridge website under student. This website contains math videos that can help your child all through school. We also worked on the website Pebble Go. Our school pays for us to have access to this site. The username is harvestridge. The password is read. This website contains articles on science and social studies. Students can read it, or it can be read to them. We are using Adobe Spark to publish our writing work. Students sign in with their google drive information. We will use cool math games from the Harvest Ridge web site. It is under the student section.